For many people, finishing high school may be a very exciting end to a new chapter, and start to a new beginning – going to college! However, despite all the excitement, it may also be very nerve racking, with a great deal of pressure in choosing a college major that will both be enjoyed as a future career, however will also provide financial security. Many people have passions that they would love to pursue, although fear that perhaps there is not enough opportunity for success in their dream field. While others have another issue, in that they are not even sure what they are interested in and would like to pursue. 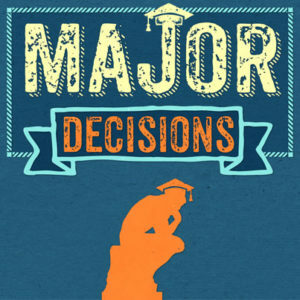 There are a wide variety of issues that arise when it comes down to choosing what to major in in college, let alone which institute to study in, which of course can also play a large factor in one’s choice of major. While it is of greatest importance to be happy and love what you do, there are certain majors that are simply doomed for career success. While there is no such thing as a ‘bad’ major, there are of course certain professions that are very difficult to find jobs in, perhaps since there is a great deal of competition in the field, or there is little demand for that specific job. Even if one were to find, if it is a profession where there is low competition, the salaries tend to be much lower. And in many cases, merely a first degree is not enough, and therefore can be very expensive both in time and money to get to an actual break even point. Although many of these jobs that are considered ‘bad’ can often be very meaningful and seem to be a dream come true, many times they are not always the wisest choice, unless you don’t mind staying in your parents basement, of course. 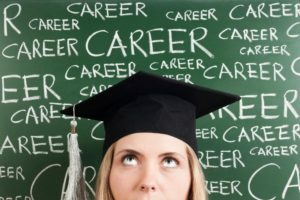 The majors with the worst employment rates, include International Business, Computer and Information Systems, Anthropology and Archaeology, Political Science and Government, Architecture, Philosophy and Religious Studies, Fine Arts, Commercial Art and Graphic Design, Economics and Psychology. These majors are the hardest to get a job from after graduation college, and have been shown to have higher than the average unemployment rates based on a Georgetown University report. If you are however lucky enough to find employment from your college major, all the respect to you! However some of them are very low paying, such as Fine Arts, Drama and Theater Arts, Anthropology and Archeology, Physical Fitness, Parks, Recreation and Leisure, Social Work, Music, Family and Consumer Sciences, Psychology, Philosophy and Religious Studies, Film, Video and Photographic Arts, and Chemistry. This list has been compiled from the same Georgetown study, and have been most correlated with experienced graduates, so if your priority is to make the big bucks, your best bet is to stay away from these majors. Some majors are even highly correlated with both low unemployment as well as low wages, such as Anthropology and Archaeology, Philosophy and Religious Studies, Fine Arts, and Psychology. You’ve got to really want to one of these careers to make it worthwhile! 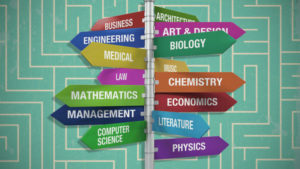 If you do indeed decide to choose one of these majors, you are not completely doomed for failure, necessarily. For one, you may be able to use your college major as a starting point rather than the focal point of your career path. If you can invest the time and the money into a Graduate degree, they are for the most part, off priceless value. And if you take this route, your first degree was a necessary stepping stone to the next step. However if want to ensure success from your college major, you may want to take some time to really think your decision through.